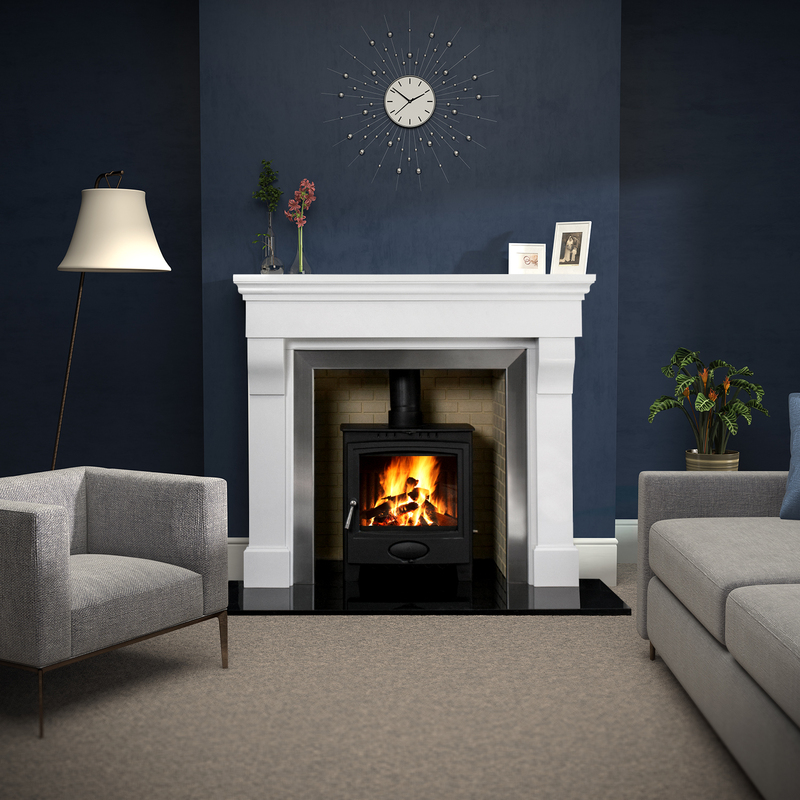 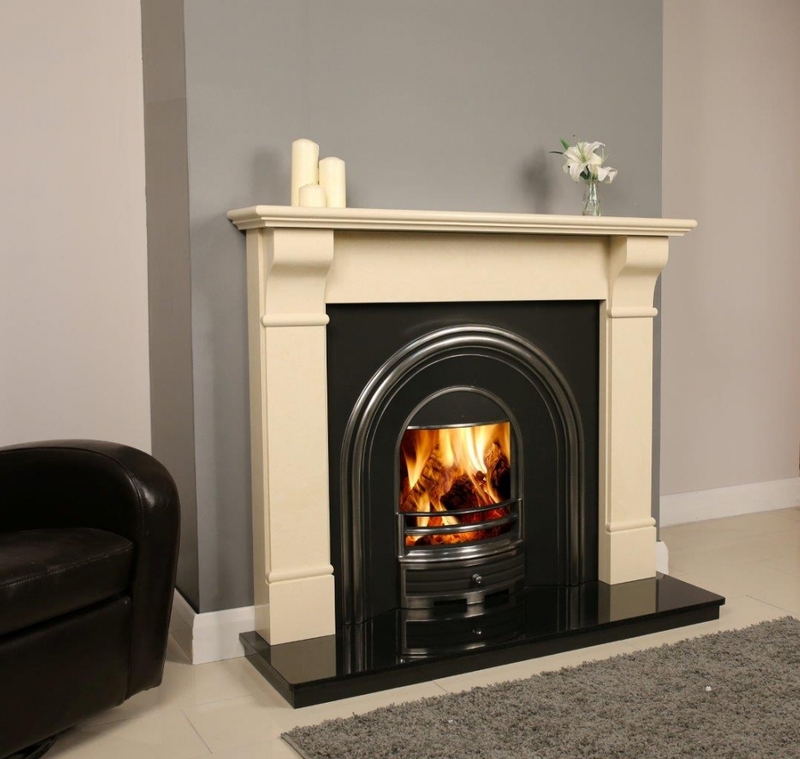 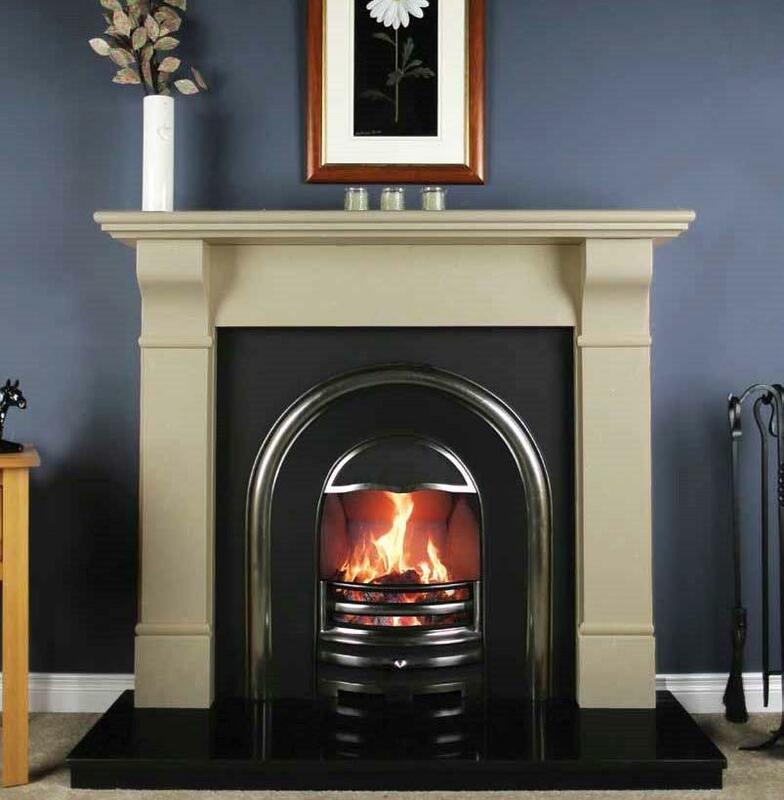 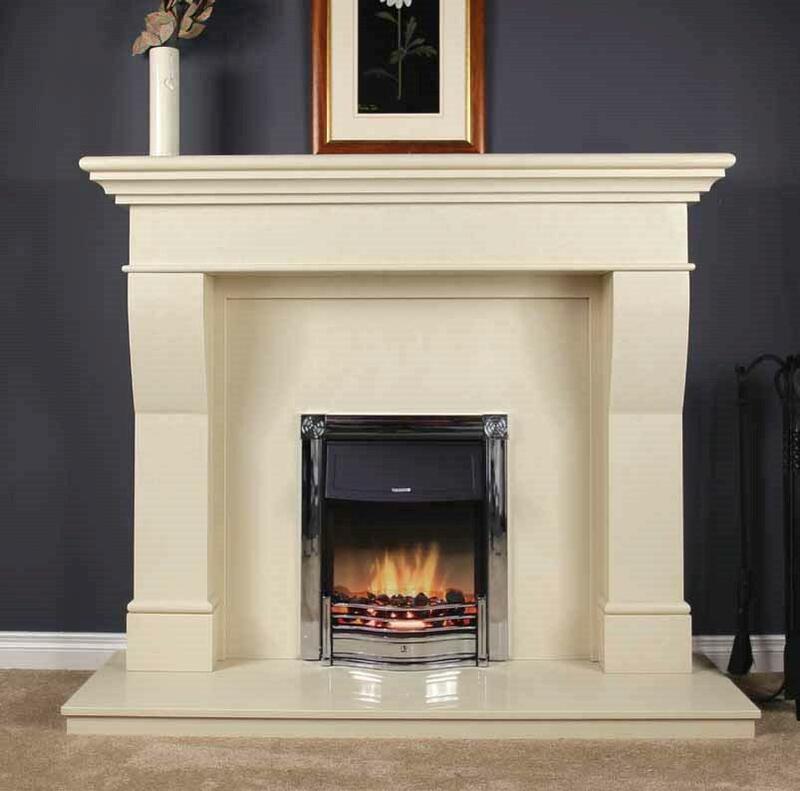 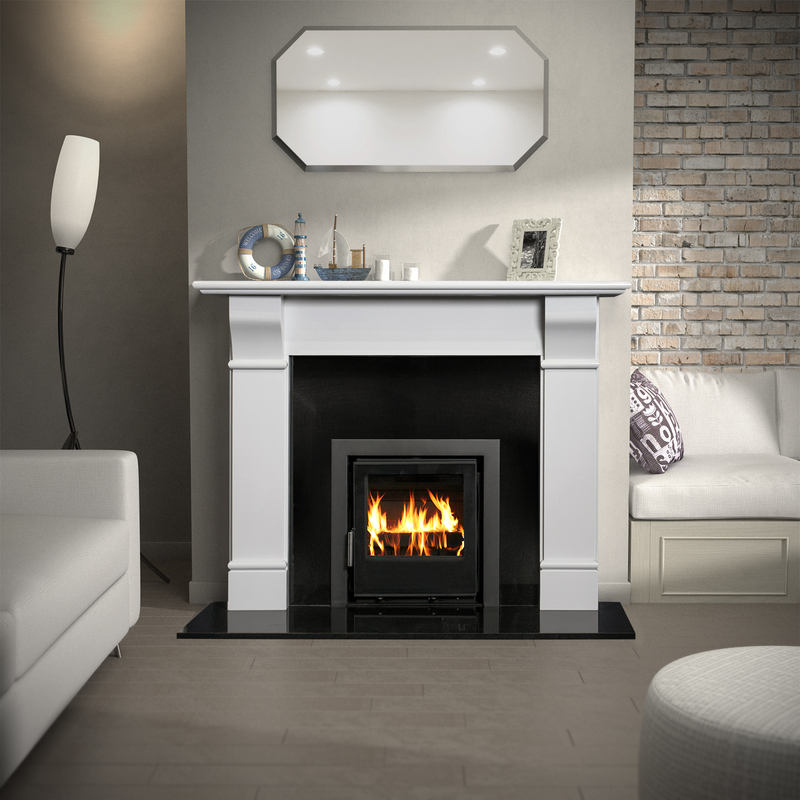 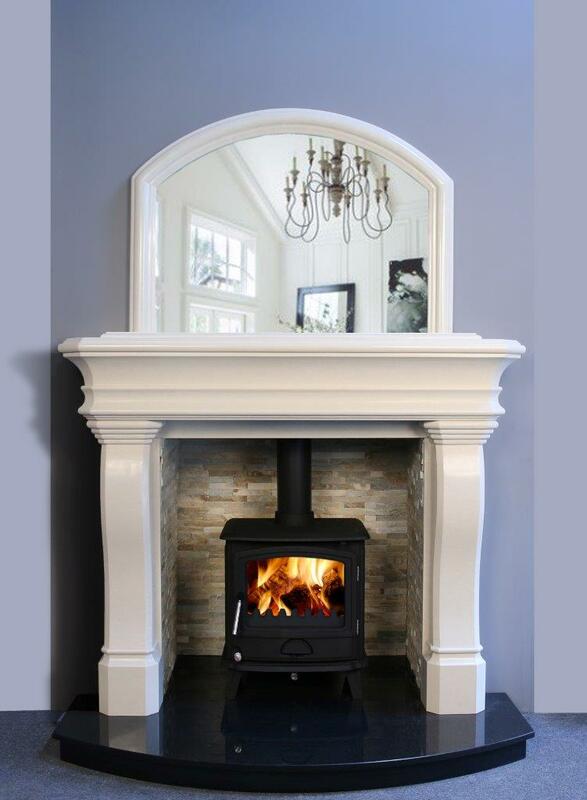 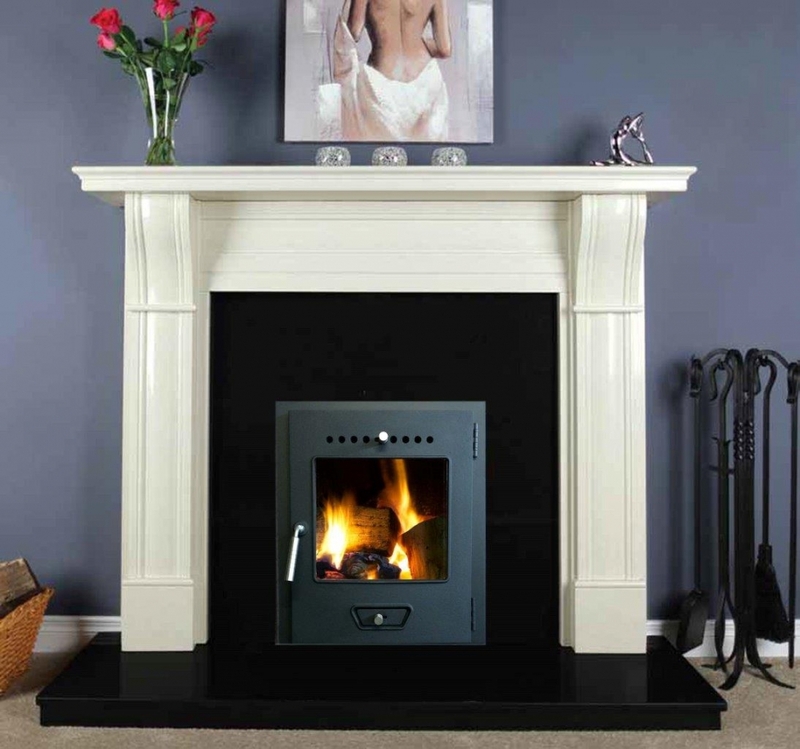 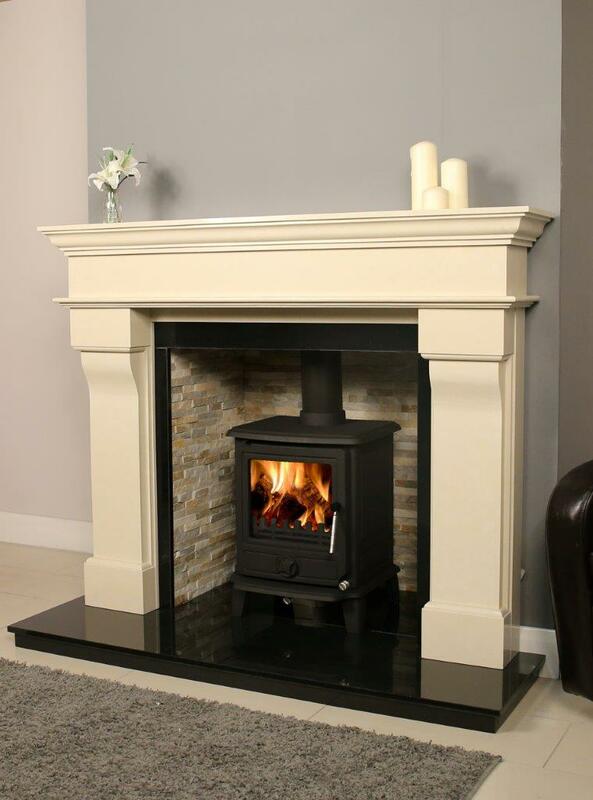 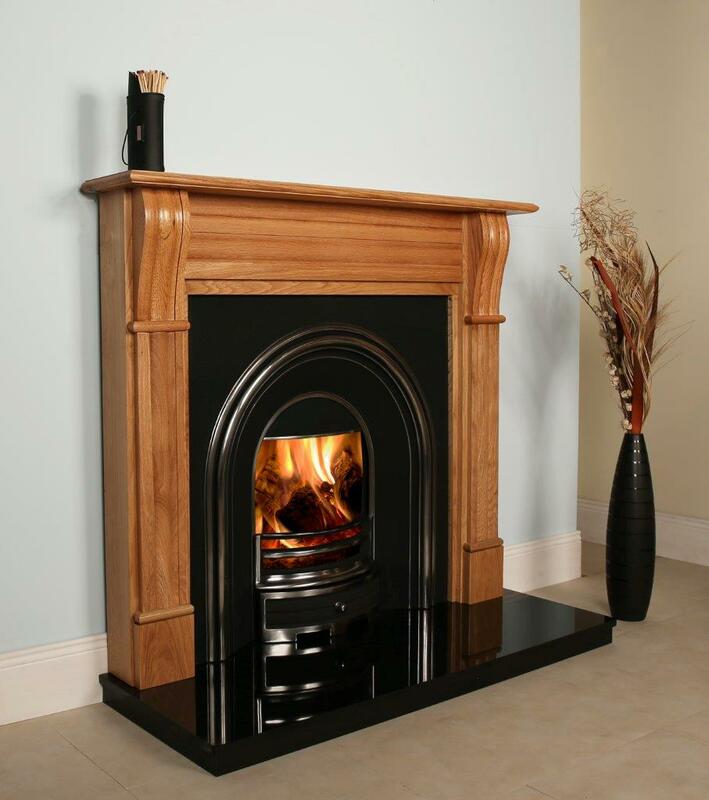 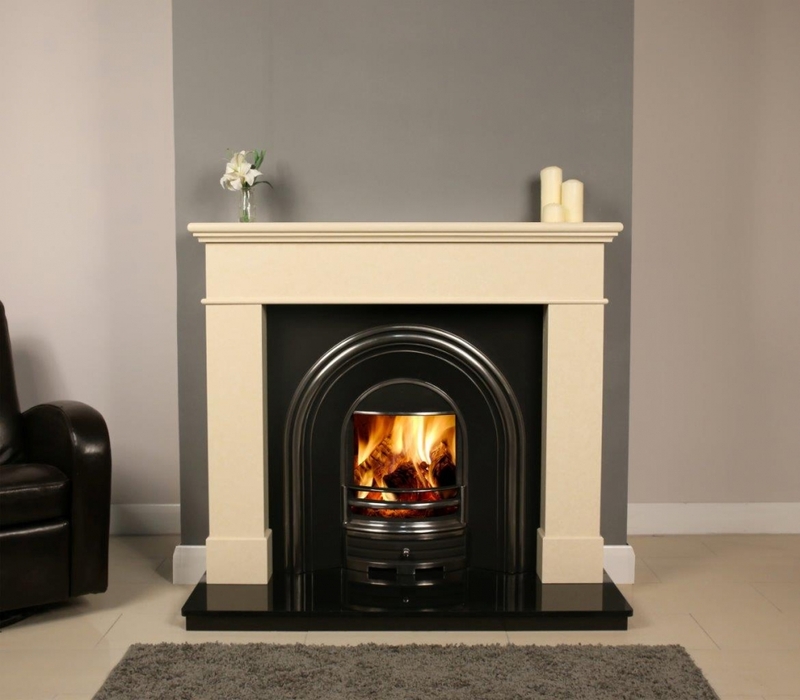 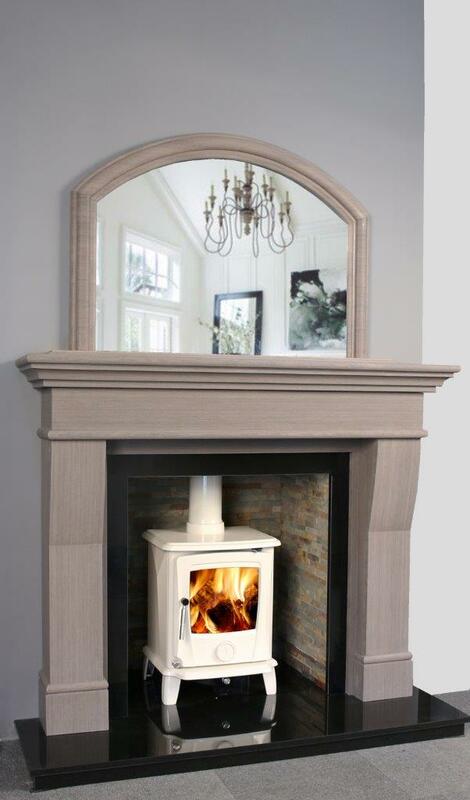 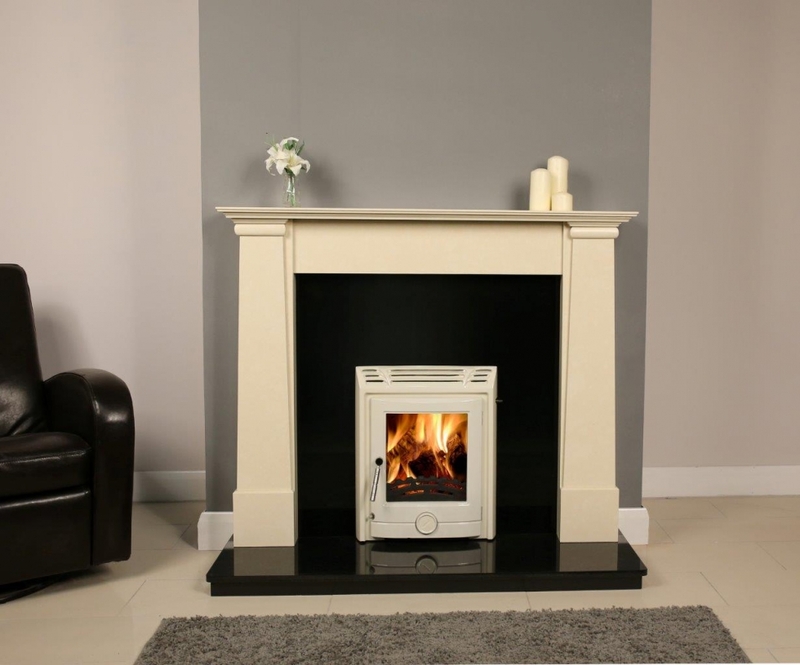 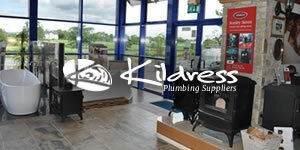 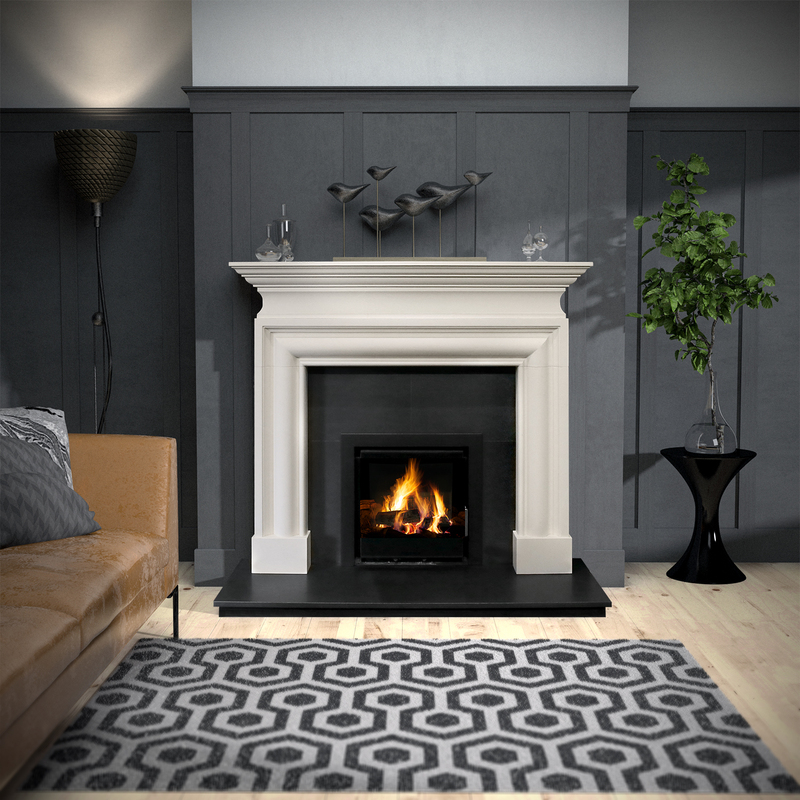 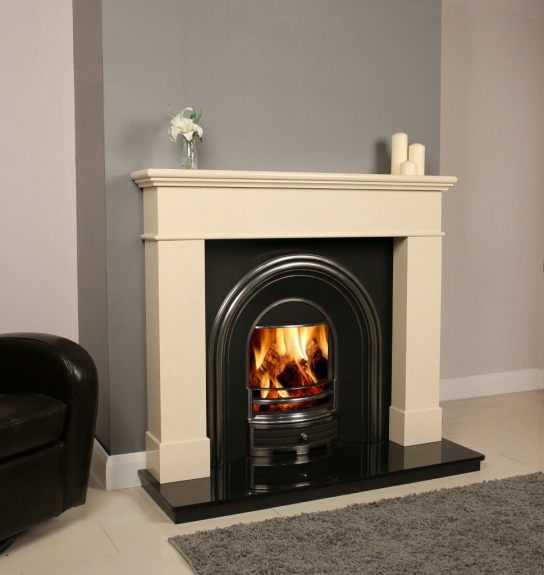 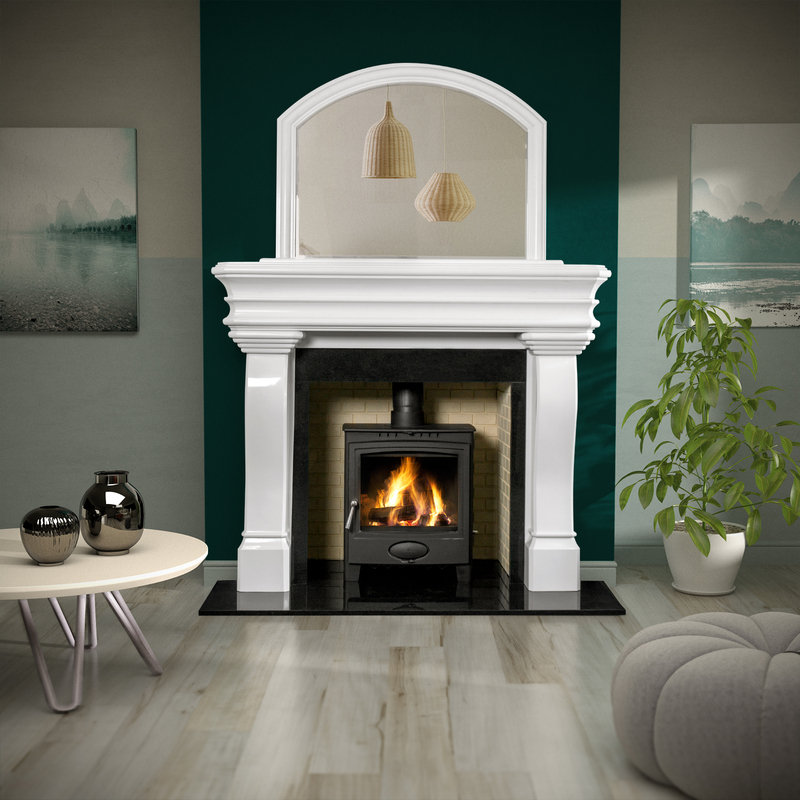 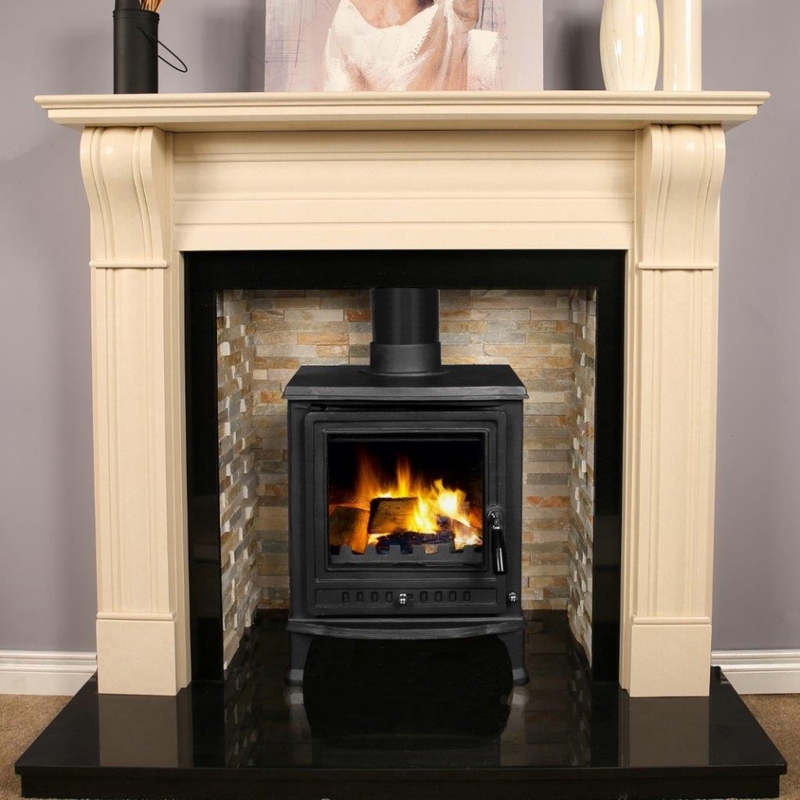 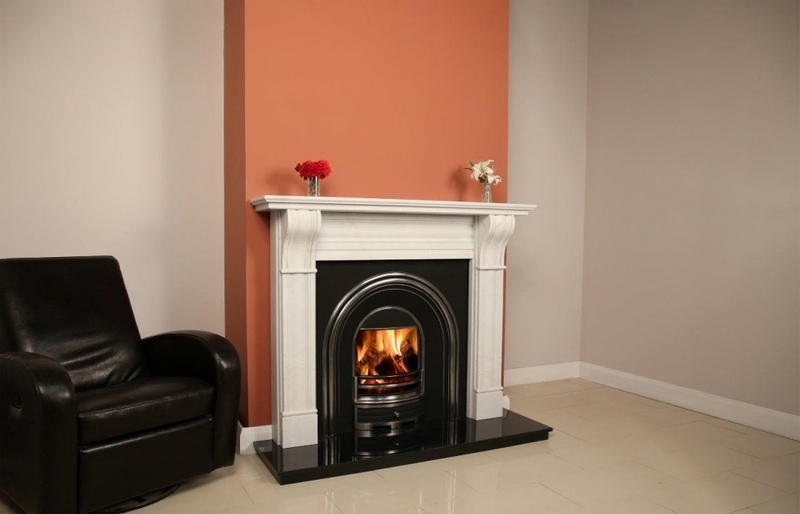 We have added fireplace displays to our showroom in response to customer demand.On display are a selection of Ivory Cream marble surrounds fitted both in chambers with freestanding stoves, and also with inset stoves. 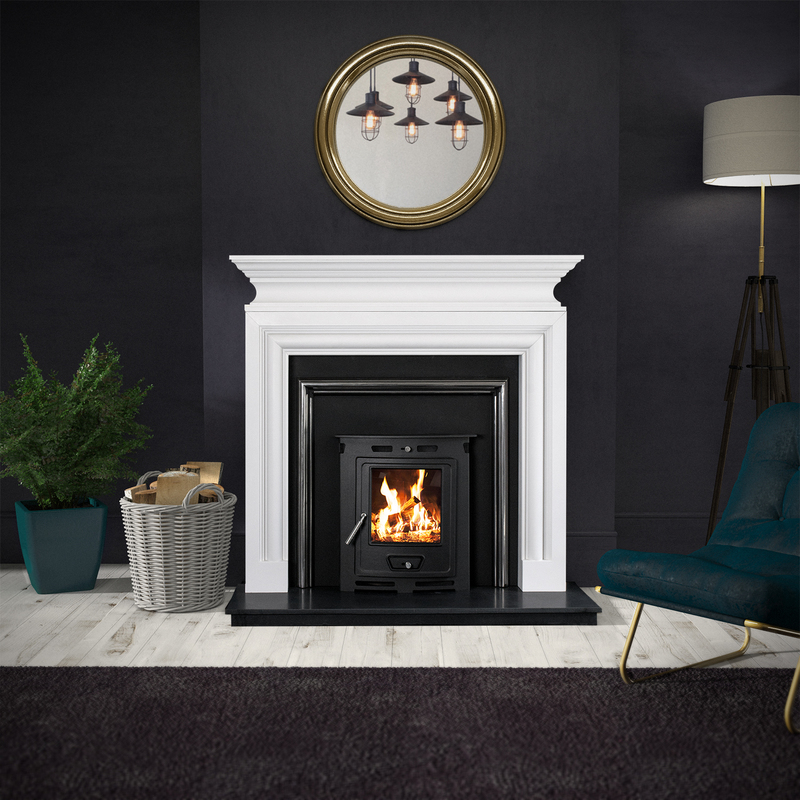 An open fire back panel is also on display.We also have black granite stoves hearths on show, alongside an exciting new glass hearth. 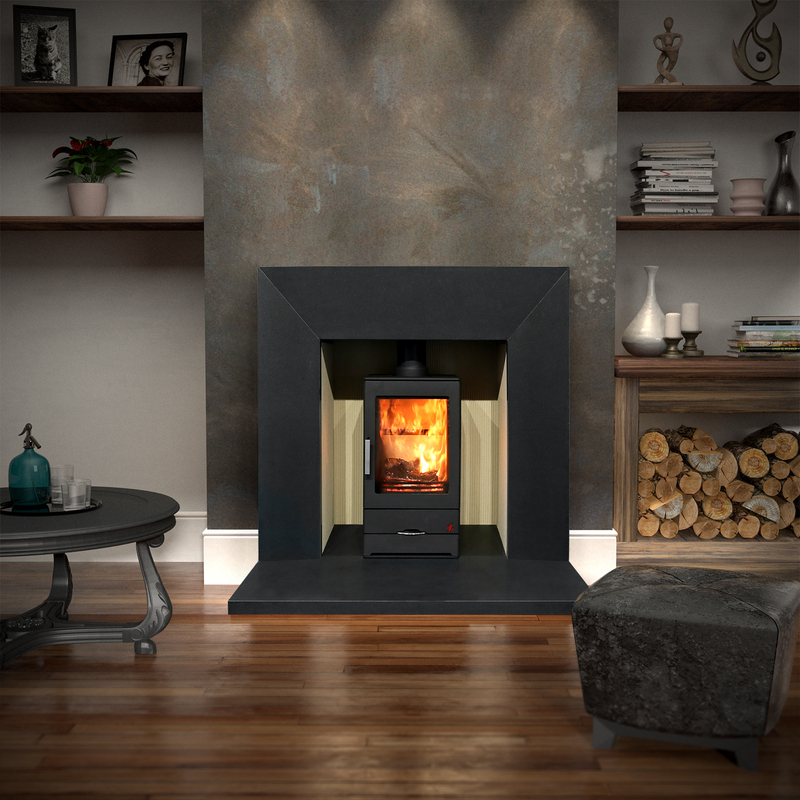 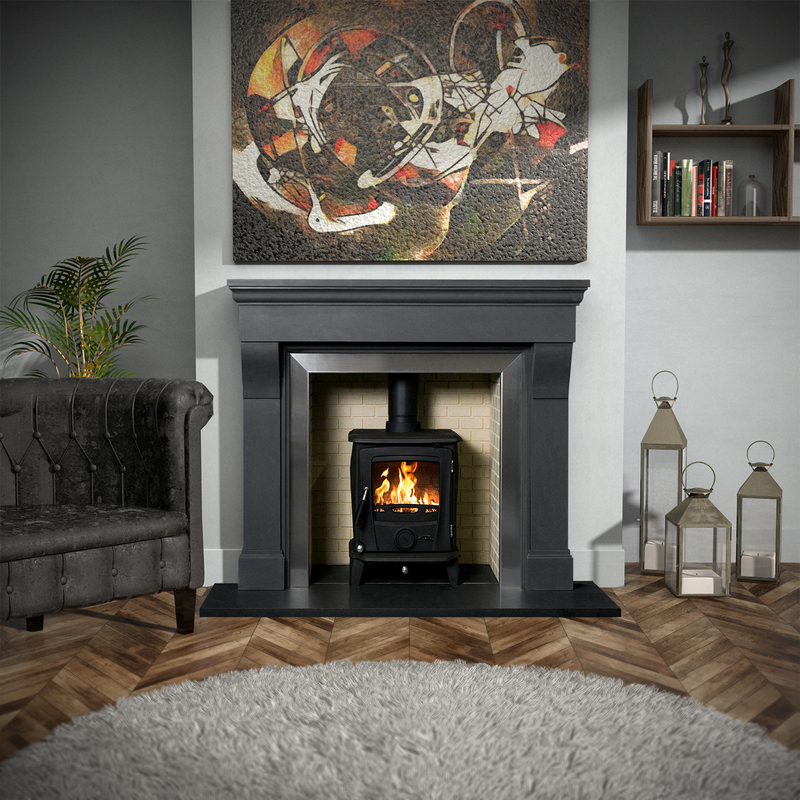 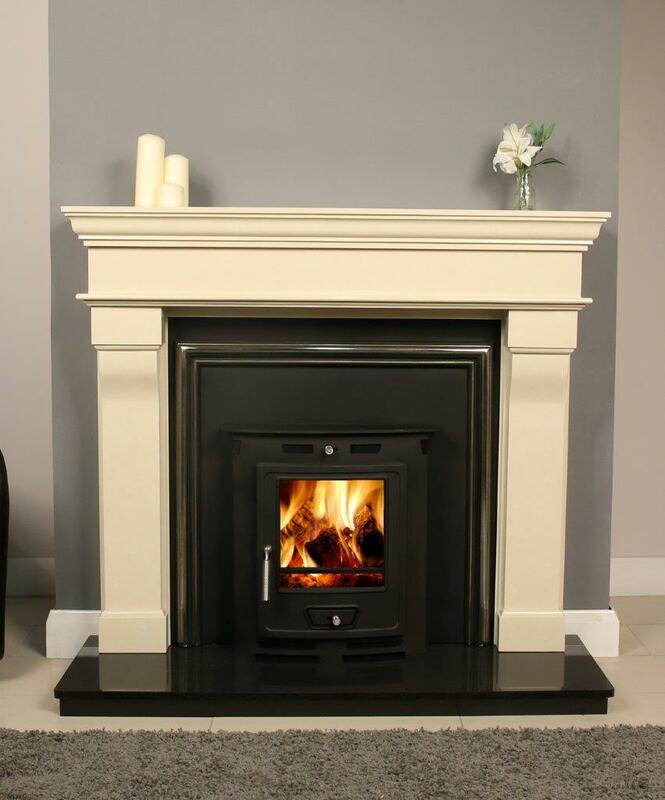 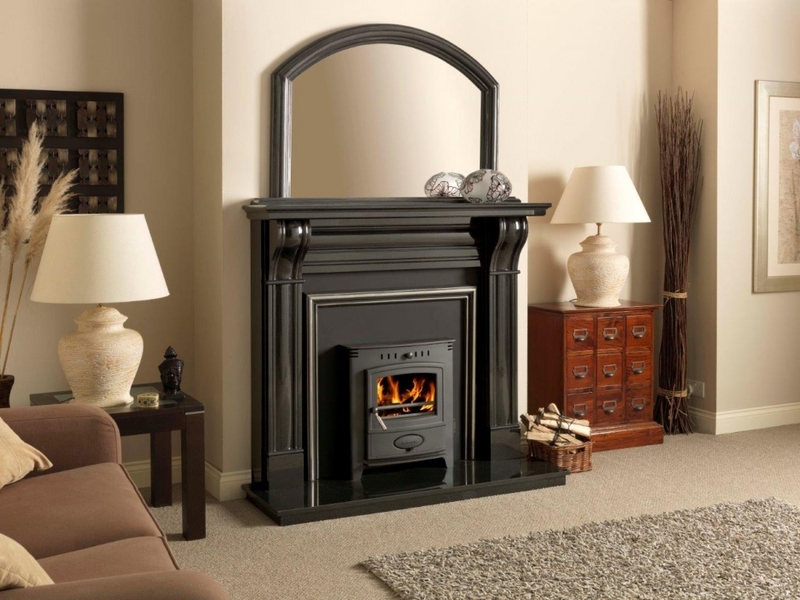 Tara 54" surround with black granite back panel, black granite hearth, and Stanley Cara+ HPB boiler model insert stove in black enamel - our showroom display model. 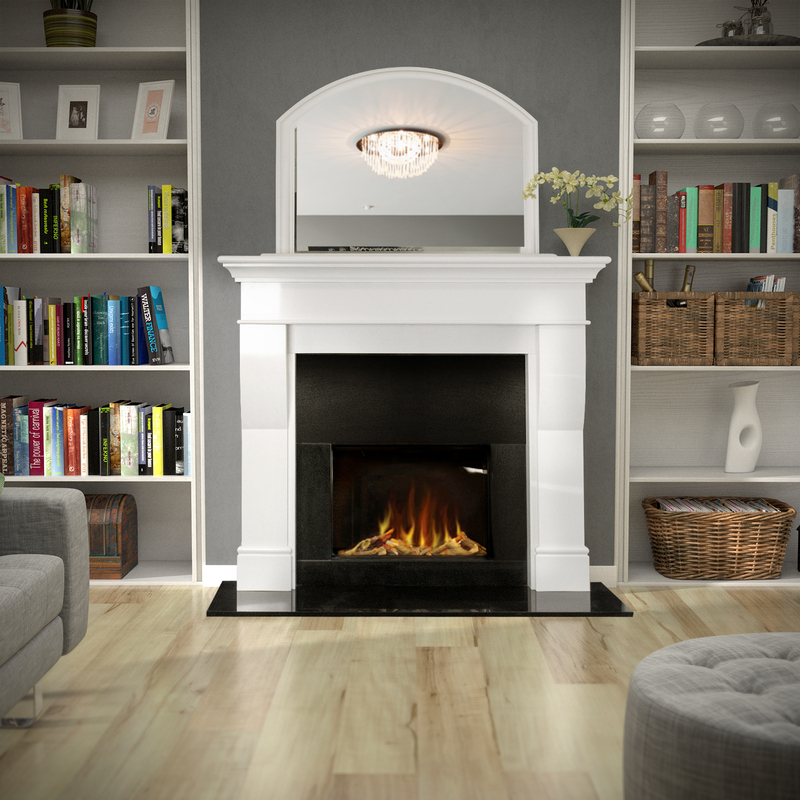 Surround is also available in 60" version.